Announcing Magazine Media Quarterly - A Business Magazine For Magazine-Business Executives, Coming This Spring! — Outsourced Media Sales | James G. Elliott Co., Inc. Announcing Magazine Media Quarterly - A Business Magazine For Magazine-Business Executives, Coming This Spring! January 30, 2019 / James G. Elliott Co., Inc. Introducing Magazine Media Quarterly, a magazine for magazine-media executives and the aspiring entrepreneurs who want to be part of it. MMQ is dedicated to the premise that new kinds of information are needed to help publishers prosper in a new media landscape. It's produced by the University of Mississippi's Magazine Innovation Center and intended for managers, directors and executives in sales, marketing, content creation, web development, data management and more. Magazine Media Quarterly is unique in the depth of its knowledge of the market and in its unparalleled access to the thought leaders at all companies, large and small, B2B and consumer. 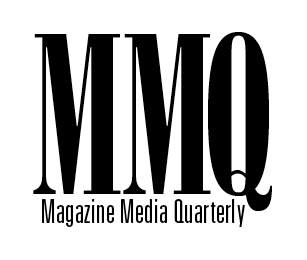 MMQ's executive management team includes Mr. Magazine, Dr. Samir Husni; Bosacks, whose "Heard on the Web" is the industry's first and most influential enewsletter; Tony Silber, Forbes.com columnist and founder of the acclaimed M10 magazine; and Jim Elliott, one of the leading magazine-sales leaders of his era. MMQ will launch early in the second quarter of 2019 with an exclusive qualified-controlled circulation of 5,000. Readership will be balanced among the professional disciplines as well as all magazine-media sectors. Select industry suppliers will serve as donors, underwriters, and benefactors. Because of the select nature of the readership and the limited subscriber file, MMQ will not be able to accommodate all of the people we anticipate will want this ground-breaking magazine. So we're offering an exclusive, limited-time opportunity to apply to be on the subscription list. Just fill out the form here, and we will keep you posted in the days ahead as we build the file.